As the name implies "Stepping Tones" is largely based on step-wise movement between the notes of a single part.However, between Gt 1 and Gt 2 a variety of intervals, including 3rds, 4ths, tri-tones, and 6ths, can be heard. 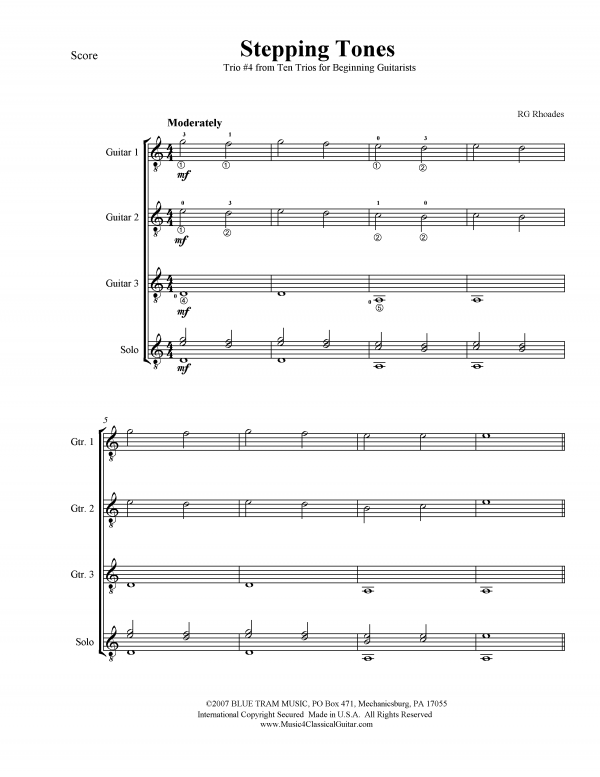 The long and parallel rhythms coupled with the moderate performance tempo should give students sufficient opportunity to hear these intervals. 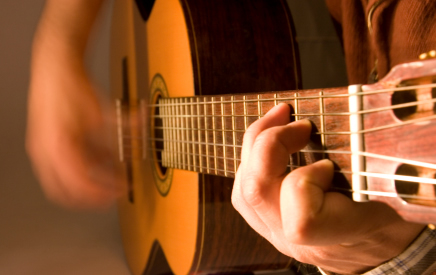 Ten Trios for Beginning Guitarists - No. 8 - "Closer & Closer"
Ten Trios for Beginning Guitarists - No. 3 - "Minor Moment"
Ten Trios for Beginning Guitarists - No. 6 - "Echoes of the Past"
Ten Trios for Beginning Guitarists - No. 9 - "Returning Home"
Ten Trios for Beginning Guitarists - No. 7 - "Twilight"
Ten Trios for Beginning Guitarists - No. 10 - "Two Easy"